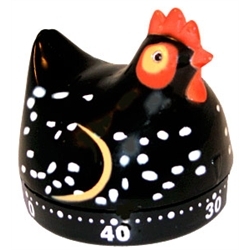 Chicken stocking stuffers: this has a double meaning, if you keep pet chickens! Firstly, it refers to what chicken-related things go into your stocking. And it also refers to the things that go into your chickens’ stockings. Yeah, you heard me. CHICKENS’ STOCKINGS. That’s how we roll around here. We, er, chicken roll so hard that we made up a list of some great chicken themed gifts and chicken stocking stuffers. If you’re a chicken lover, you can use this list to get some ideas about what to put in your pet chickens’ stockings, and what you can make or bring to holiday parties for a kick. You can alsosend this blog post to your friends and family, or share this post on Facebook, to give them some ideas of what to get you. Oh, honey? HINT, HINT. 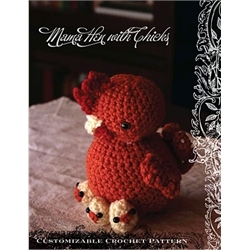 First we’ll take a look at some good stocking stuffers for the chicken lover. Since they’re fairly inexpensive, these would also serve as great gifts for younger kids to buy their chicken-loving parent, too. No actual poop involved, of course. This is also a cute gift to give to kids who like gross-out humor, or as useful gag gifts at a holiday party at work—where everyone thinks you’re a little weird for keeping chickens. Take THAT, work friends! These bumper magnets are great, and because they’re MAGNETS, rather than stickers, they’re easy to remove and use elsewhere. Car? Refrigerator? Metal door? Put it where you want it, then change your mind. Who can say adorable? Okay, I know all of you can. But this IS adorable, especially for a retro-themed kitchen. 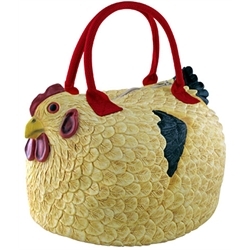 You want a little elegance with your chicken stocking stuffers and gifts? Here you go. 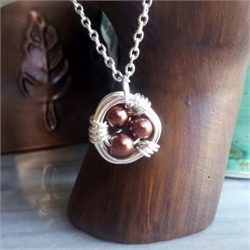 You can even customize the pearl-egg colors that go in the nest, perhaps to reflect the colors your birds lay. 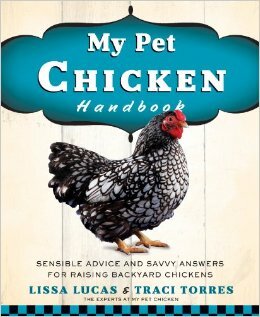 I can’t go without mentioning the My Pet Chicken Handbook. For someone who’s thinking of getting into chickens, this is probably the best book for getting started… but even seasoned chicken keepers will find lots of tips and tricks. Plus, both newbies and experts alike will enjoy the handy breed guide. This is, after all, the time of year you begin dreaming about what breeds you’ll add for next year, so having a guide listing out which breeds lay well in the winter, which forage well, which are the friendliest lap chickens and so forth is fabulous. Curl up by the fire with some hot cocoa and this book, and dream of the spring days ahead. Goofiness for holiday parties–oh, yeah! 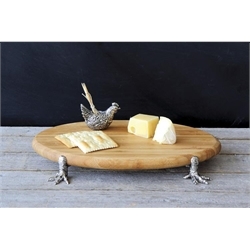 This cheese tray will have you covered, with a curious mixture of elegance and silliness. This is a great starter coop for a small flock—and this time of year, they ship free and they’re on sale (while supplies last). If you think your chicken lover won’t be interested because he or she already has a coop, think again. There are three good reasons to have a second, or even a third, coop. 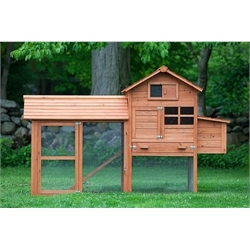 And if you’re really hard up for ideas for chicken stocking stuffers, just print out a photo of the new coop. and put it in the stocking. 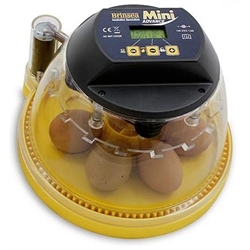 For a chicken lover who wants to hatch chicks at home, and who doesn’t always have a broody hen at the right time, this automatic incubator by Brinsea is just the ticket, and takes a lot of the hard work of incubation away. 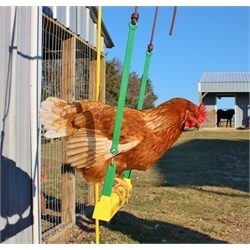 Again, you heard me: chicken swing. Even your chickens may want some toys for the holidays, especially given the fact that they may be holed up inside the coop more often due to the weather. The swing can help keep them entertained! Q: “What did you get your chickens for the holidays?” A: “Caviar. It’s just fun to say. But all kidding aside, the chicken caviar is absolutely full of nutrients and calories your chickens need at this time of year. 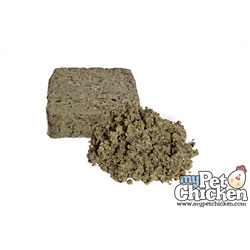 This is one of those treats your chickens won’t be able to get enough of. 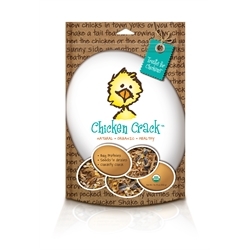 Live mealworms are sort of the original chicken crack. But if you don’t want to handle wiggly live mealworms (or keep them in your fridge), this mixture of dried mealworms, river shrimp, cracked corn and other organic ingredients will have them following you around like puppies, hoping for more. They look disgusting–but again, these would be great for a holiday party for family or work. It goes with the Chicken Poop Lip Balm, above. If you have dogs or friends with dogs, no canine can resist. Make your favorite breed, if you’re crafty! We’ve made OUR list. So, what chicken stocking stuffers and chicken-themed gifts do you want for the holidays—or what are you planning to give?